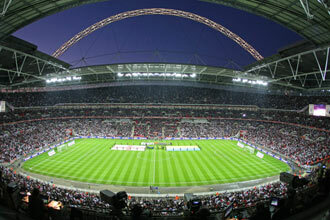 Wembley is the second largest stadium in Europe with a capacity of 90,000. As you approach down Wembley Way your eye is immediately drawn to the huge arch that overshadows the entire stadium. England's National Stadium is an almighty sight! There is only one way to get near to experiencing what it's like winning at Wembley and that is by taking the tour. 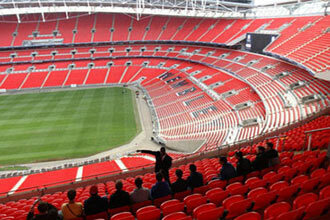 Get behind the scenes, walk in the footsteps of football legends and feel the magic of Wembley Stadium. 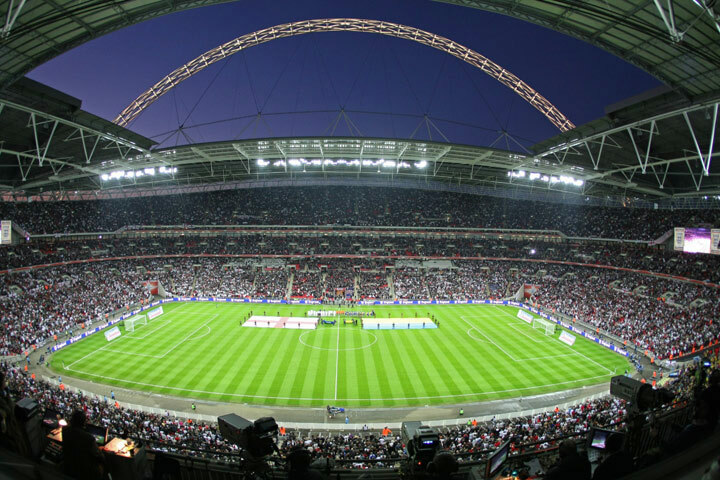 During your tour you will have access to Wembley's historical treasures including the 1966 World Cup crossbar, the Jules Rimet Trophy commemorating England's World Cup glory, the torch that started London's 1948 Olympic Games and so much more. 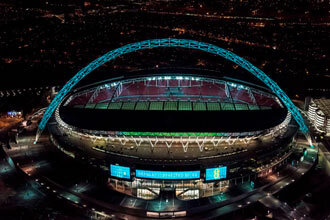 To begin you will be greeted by your guide who, over the duration of the tour, will share with you their extensive knowledge about the history of the original and new Wembley Stadium. This is your ideal opportunity to ask all those questions you've been dying to find out the answers to during any part of the tour. As you are shown around the stadium, you will have the chance to take photographs. 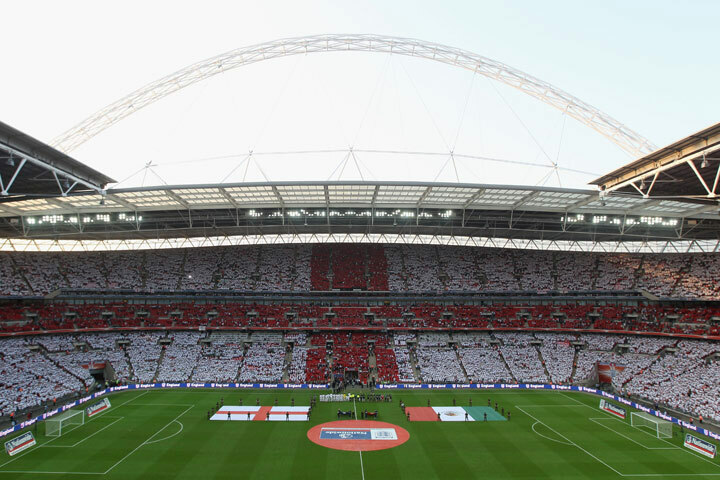 Your unforgettable tour lets you sense the history in the England changing room, experience the tension of the players tunnel, climb the infamous trophy winners' steps, get your hands on the replica FA Cup, sit in the England managers seat and relive Wembley's greatest moments on video. This voucher is valid for two adults and two children. This voucher entitles two adults and two children to the tour. This experience is available Monday to Sunday, throughout the year except 25th/26th December and 1st January and during special events. 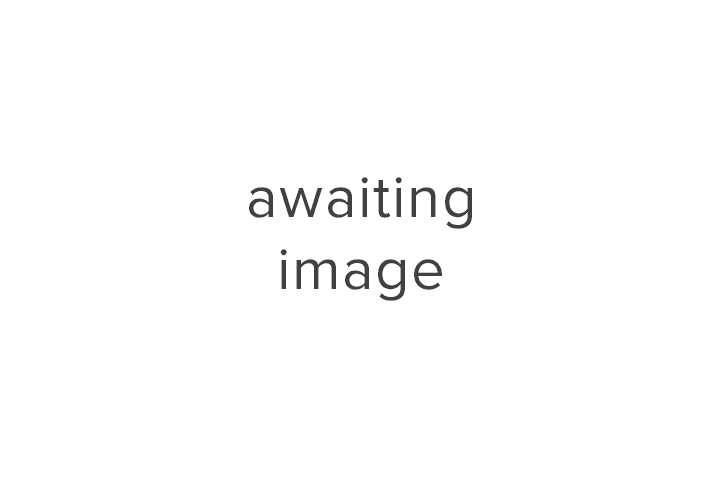 Children must be aged under 16 years and adults are 16 years or older. A general level of fitness is required to walk around the stadium. Great day out and experience. Went with my son, nephew and brother in law and we all enjoyed it. This was a great father and son experience. Very informative and entertaining. This is a must do for any football fan. The tour was bought for my son for Christmas. It was a great day out. Being able to see behund the scenes was fabuolous. The tour guide did a great job imparting the history of the Stadium and to make it a fun couple of hours. Would do it again. Early Xmas bonus from a present bought last Christmas.My son and I had a really enjoyable and informative tour around Wembley Stadium . The guide Albert was superb , friendly and passionate about the stadium which came across clearly on the tour. Excellent present that I would suggest for any sports fan. My dad and 11 year old son absolutely loved the Wembley Stadium tour and would highly recommend. Great day with all the history of Wembley. Well worth a visit, took both boys 13 & 11 they thought it was great. Brought as a Christmas gift and the first time ever buying an experience package, definitely will not be the last. An awesome day, well run and an amazing feeling going out from the changing rooms down the tunnel to the pitch. Tour guide was absolutely brilliant, very knowledgeable, friendly, funny and patient. Learnt a lot. Would and have recommended this tour to people. Would do this tour again. If I could give it 10 stars I would. Thanks for an awesome experience. Brill tour the tour guide was very good and made the tour fun to be on told all my mates and now they want to go.